After roaming the exhibits of the Smithsonian National Museum of Natural History I found a darkened case that contained fossils that I have collected many of. The Devonian Period Athyris brachiopod found in southern Indiana. Why the display case was so dark, puzzles me. As luck had it, I was carrying a small white LED keyring. Using one hand to illuminate the specimens and the other to hold the camera to auto-focus and then take the picture. The results are somewhat mixed but I was still happy to these compact little brachiopods found in the Louisville area are on display. 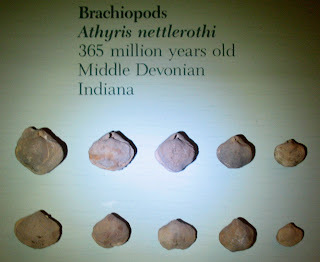 The displays describe them as Athyris nettlerothi of the Middle Devonian Period found in Indiana. This species is named after a famous paleontologist in the state of Kentucky, Henry Nettleroth. Appropriately, the Smithsonian Institution published an article entitled "The Nettleroth Collection of Invertebrate Fossils" by R.S. Bassler in Smithsonian Miscellaneous Collections (Quarterly Issue) Volume 52, Part 2, pages 121-152, with Plates IX-XI, No. 1814, September 23, 1908. After doing a search for the species, it revealed only a few sources and no images. One source was from Guy Campbell who lived in southern Indiana and specialized in fossils from this area. He listed it as occurring in the Speed Limestone which is exposed in southern Indiana. A search of the on-line Smithsonian collections database did not reveal any information about these specimens. 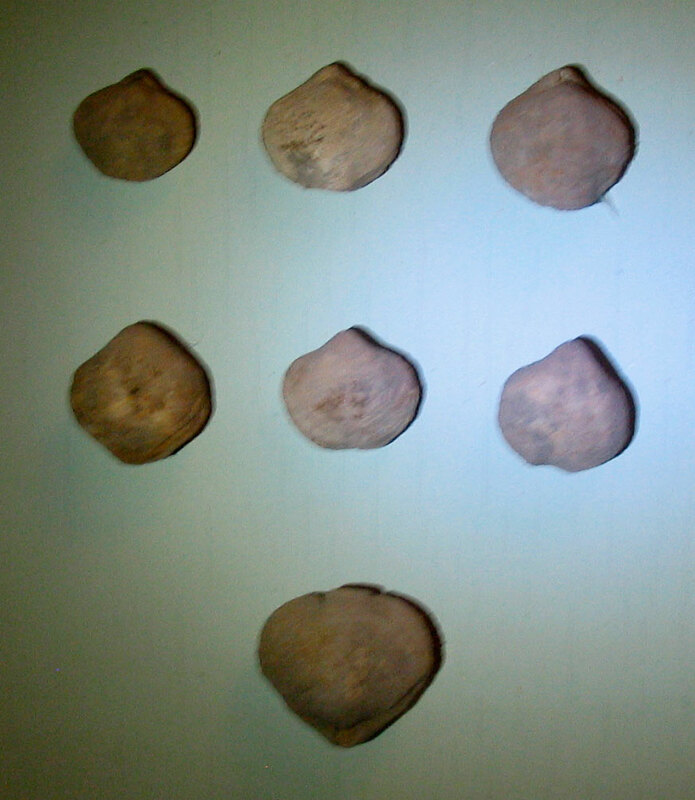 This last picture is of some Athyris brachiopods found in the Speed Limestone of Clark County, Indiana. Learn more about the Smithsonian National Museum of Natural History at their channel on YouTube.